In the wake of initial Phase II reservoir testing and the ICFT, fundamental questions about the commercial potential of HDR technology remained to be answered. How reliable is power production from an HDR reservoir? What might be the longevity of such a reservoir? 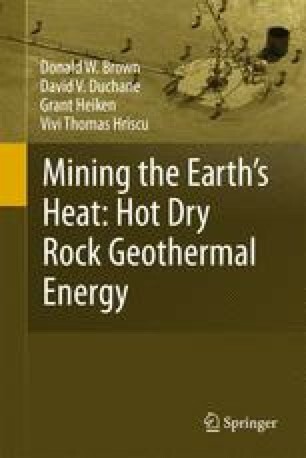 To answer these questions, and to demonstrate that geothermal energy could be extracted on a sustained basis, more extensive testing would be required. The Long-Term Flow Test (LTFT) for the Fenton Hill Phase II reservoir was designed to simulate as closely as possible the conditions under which a commercial HDR power plant might operate.